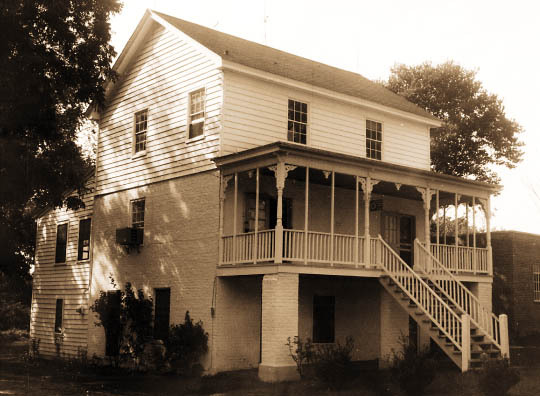 Farys Tavern was used as a hotel and tavern in the mid-19th century. It was typical to find such buildings in a courthouse district because lawyers, litigants, and witnesses needed a place to stay during their time at court. This was the only building to survive the Union raid and arson of 1864.